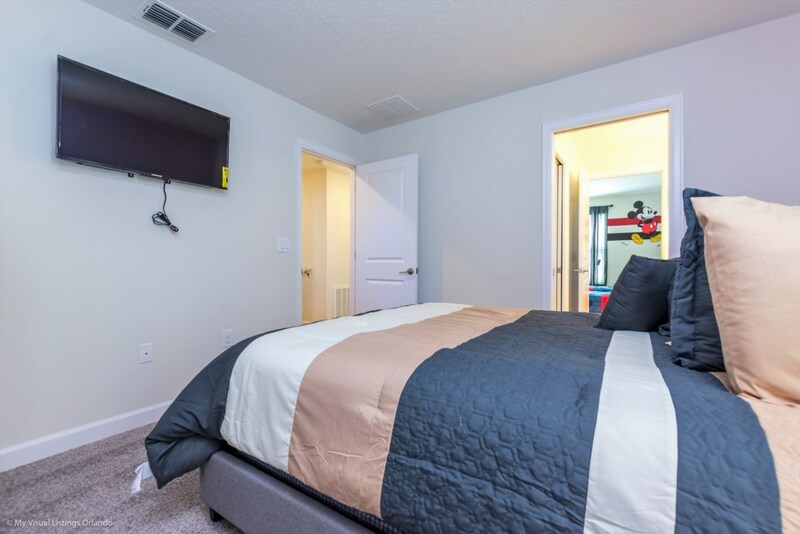 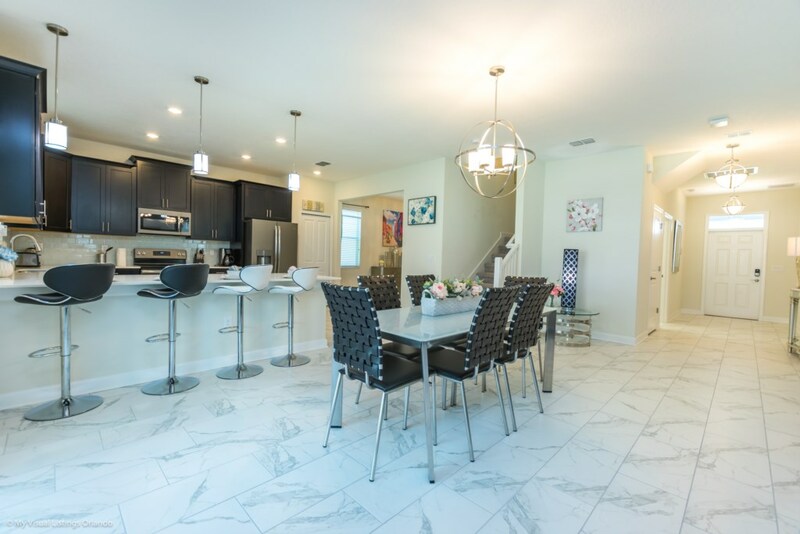 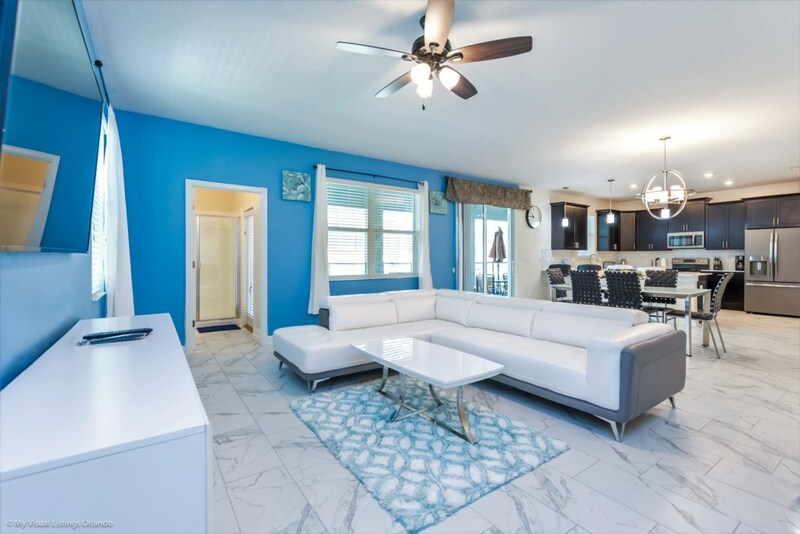 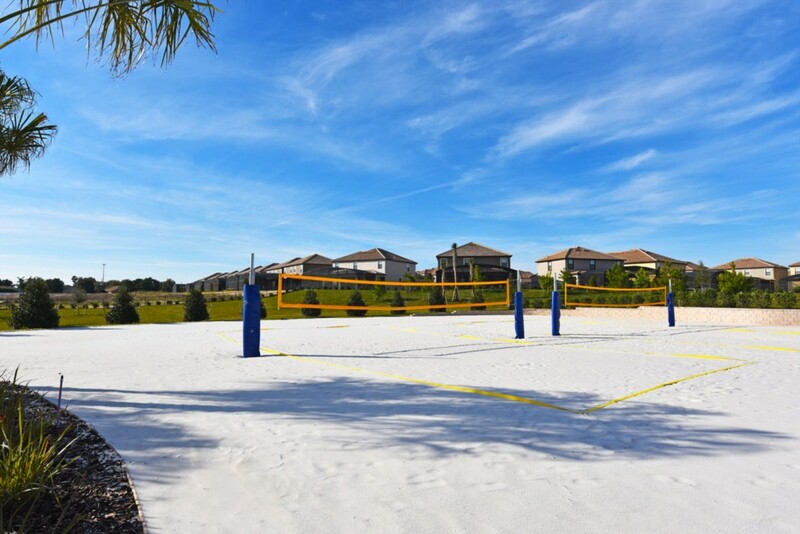 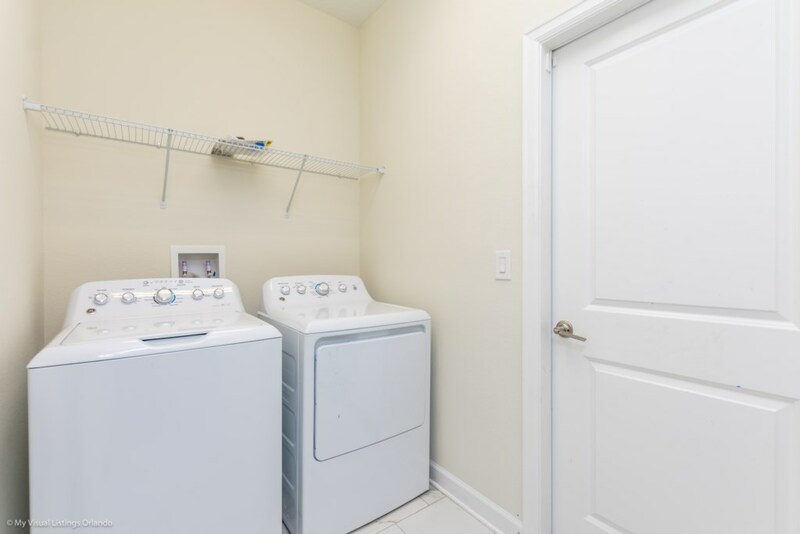 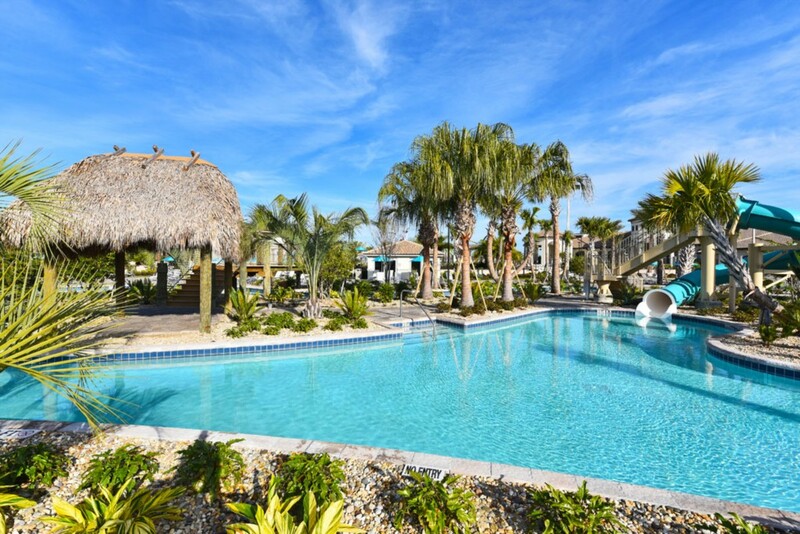 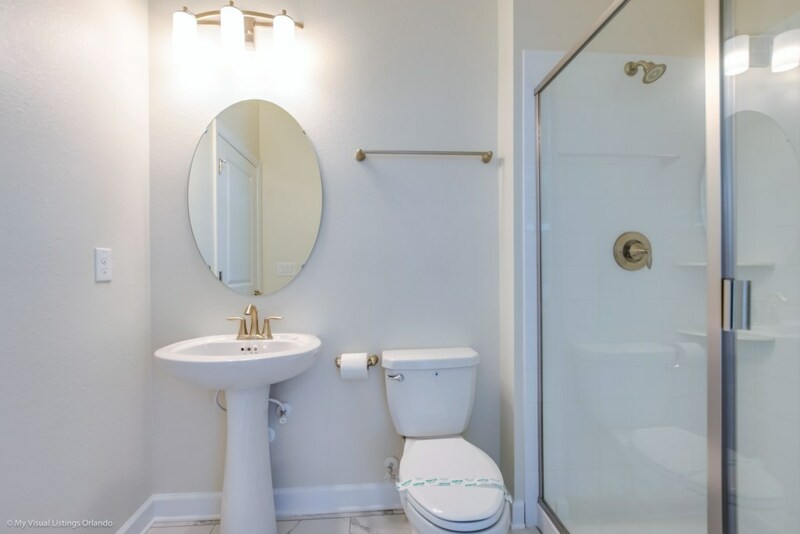 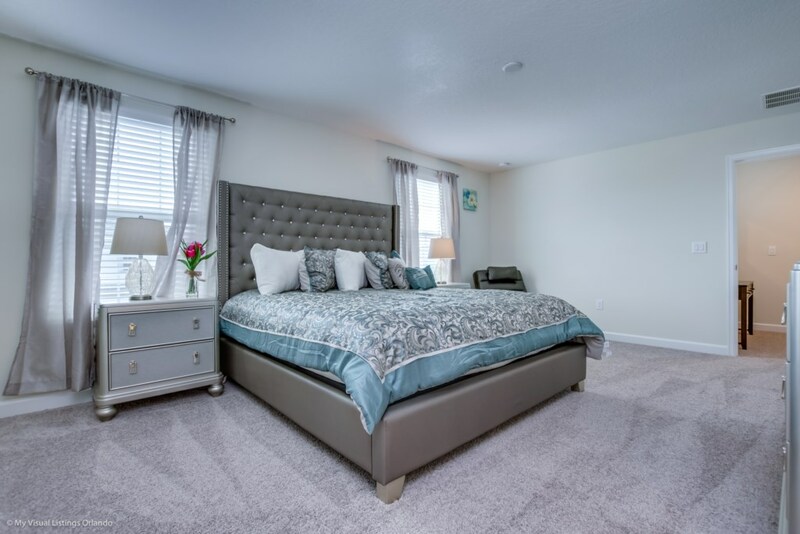 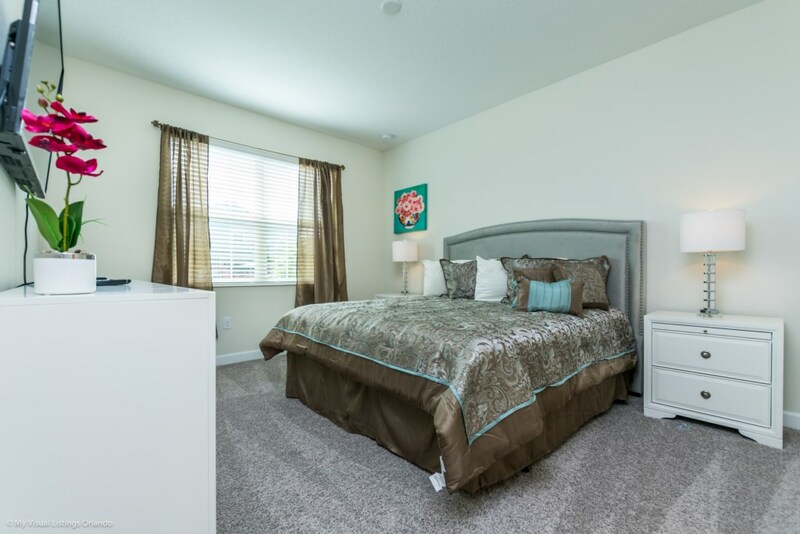 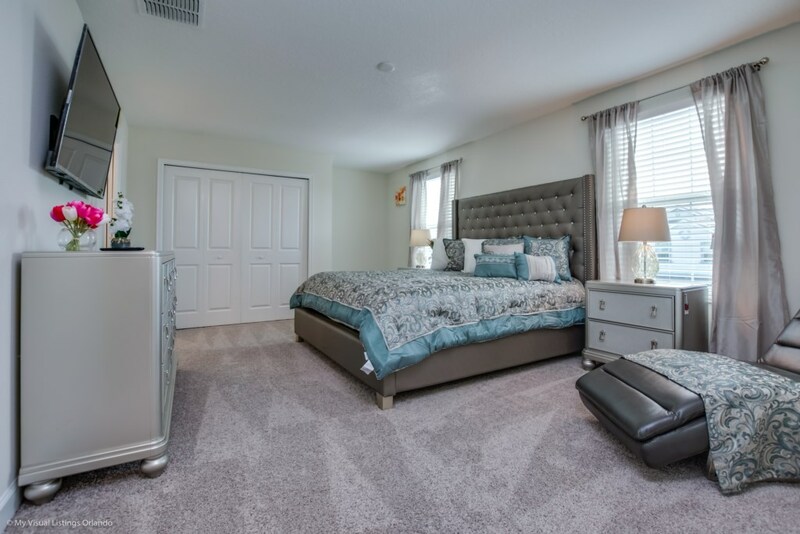 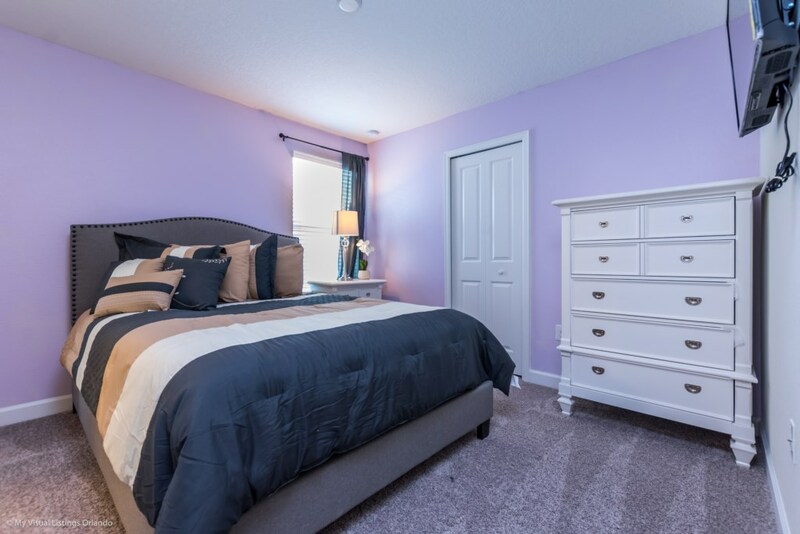 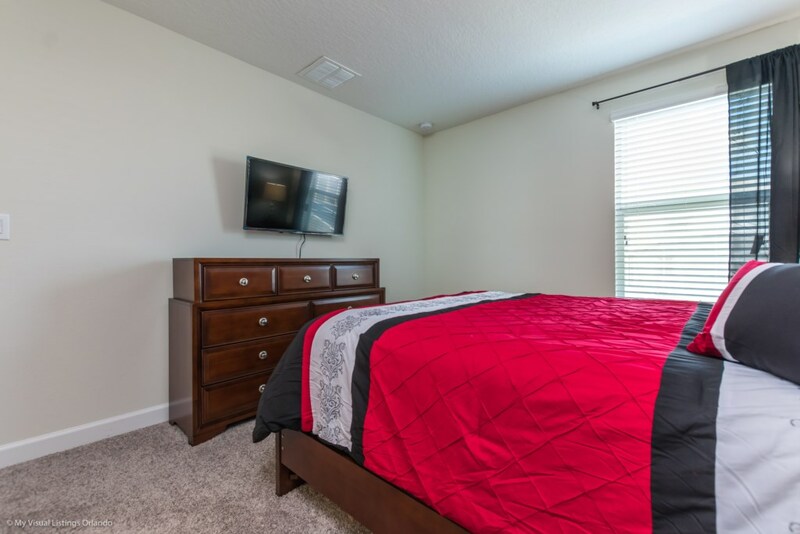 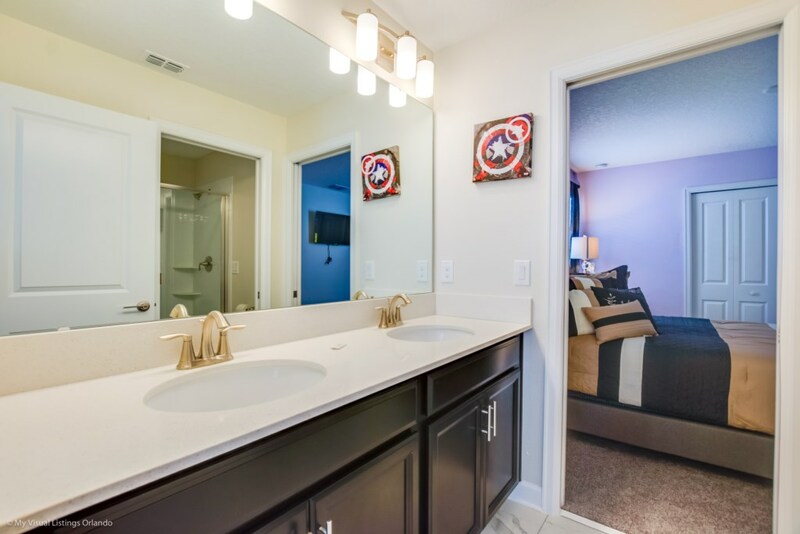 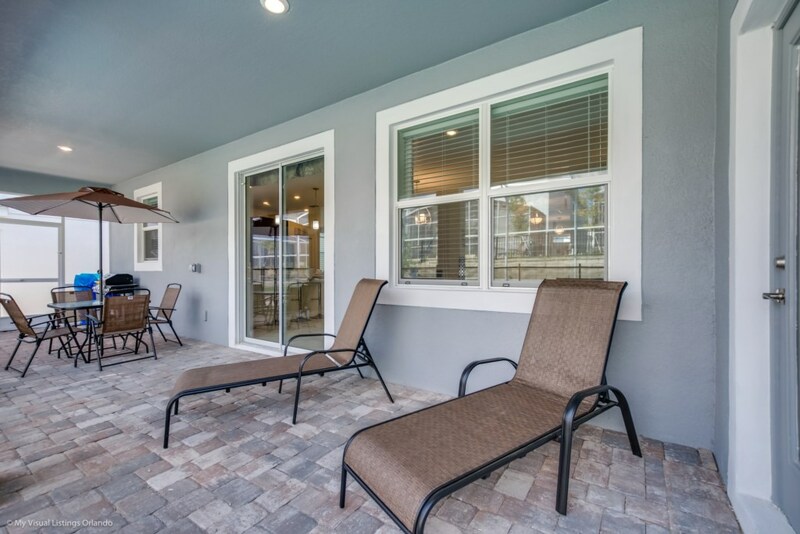 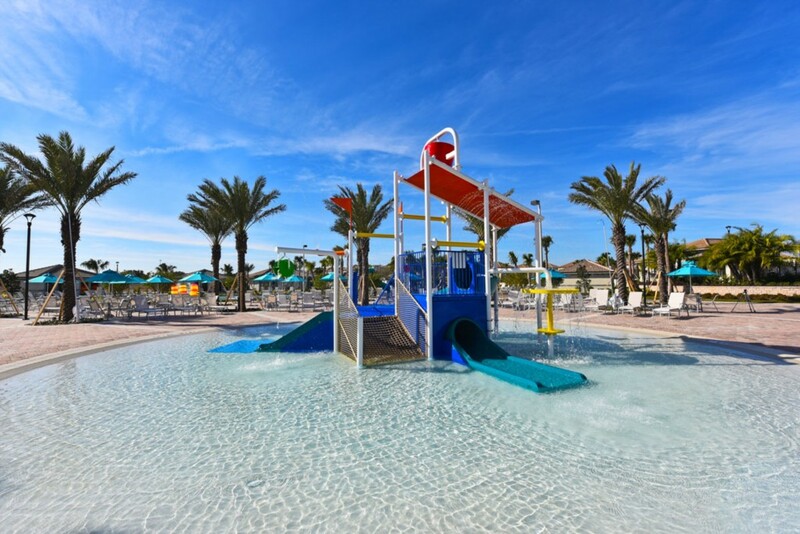 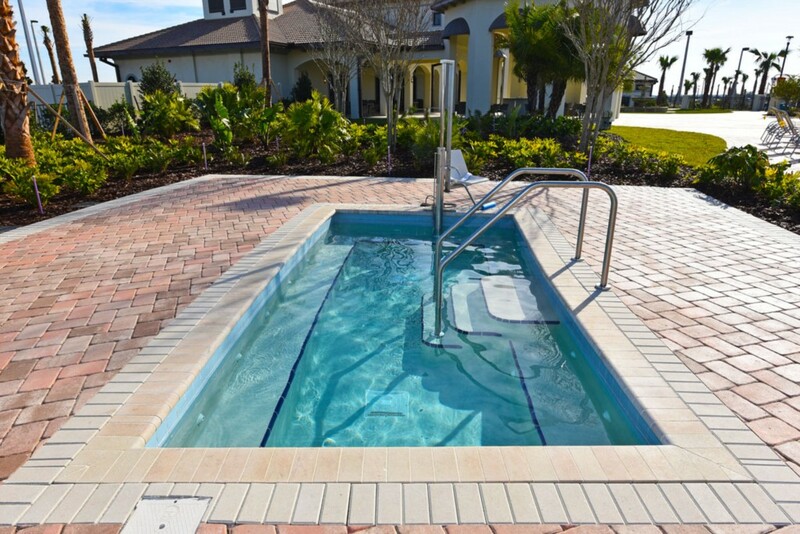 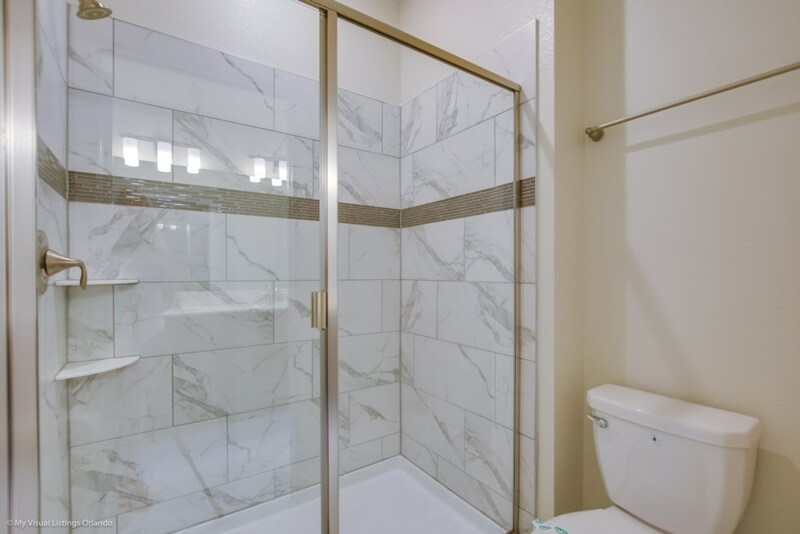 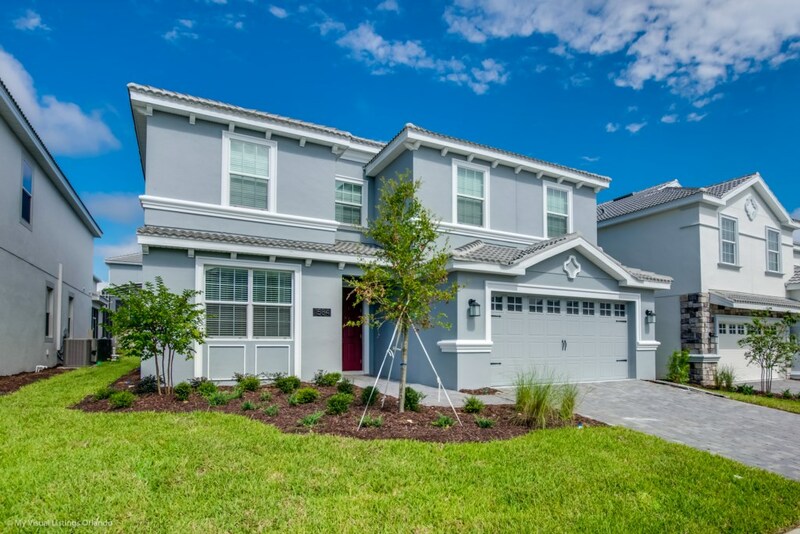 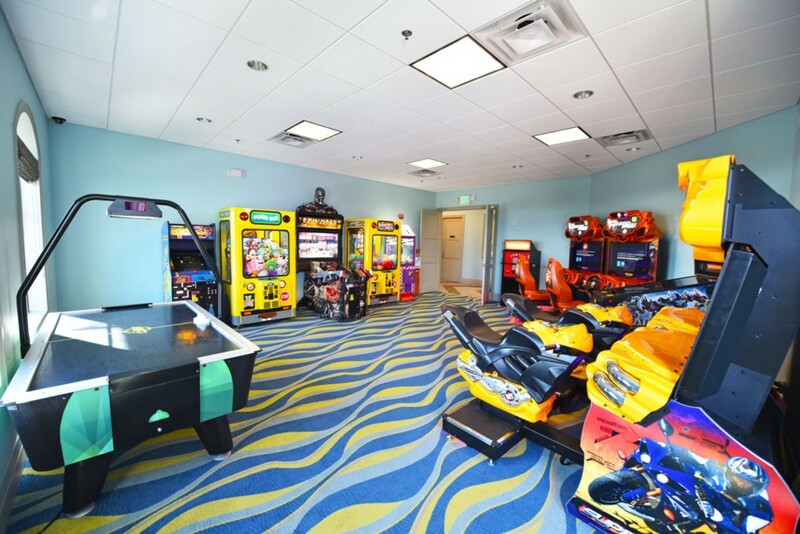 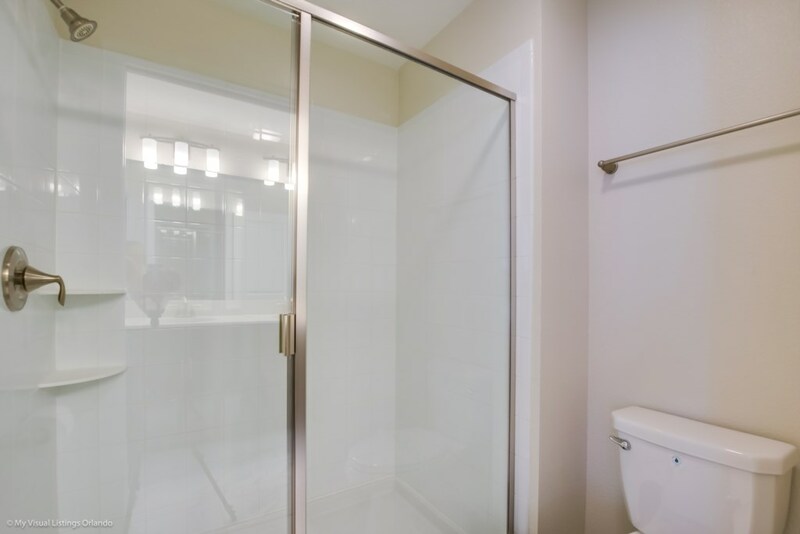 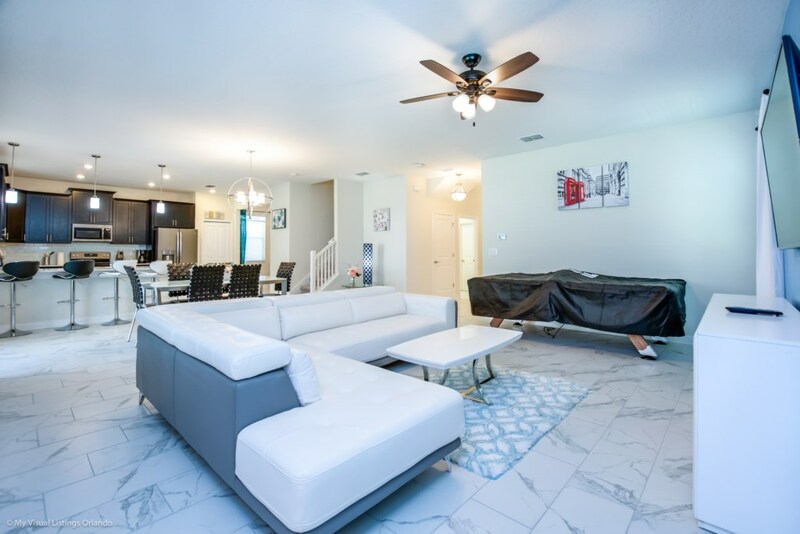 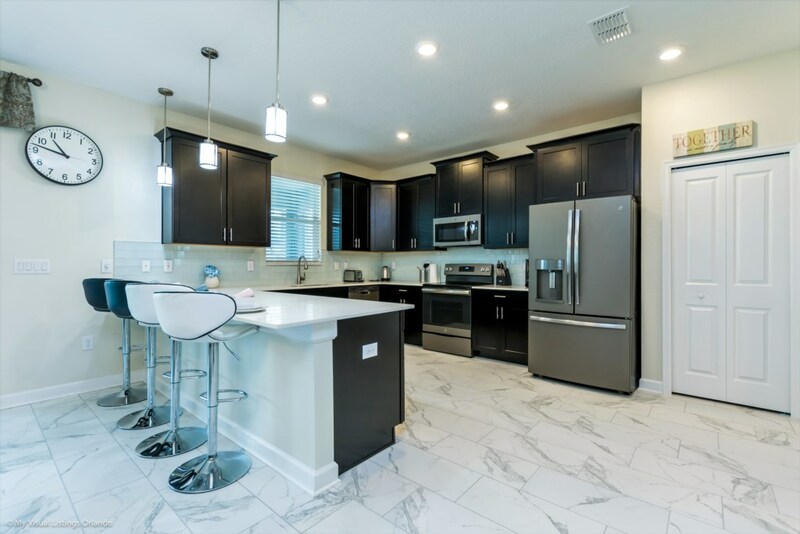 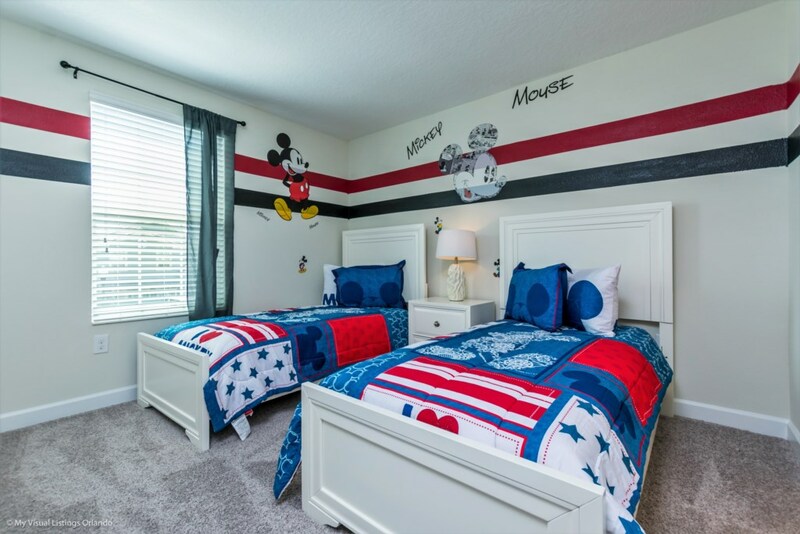 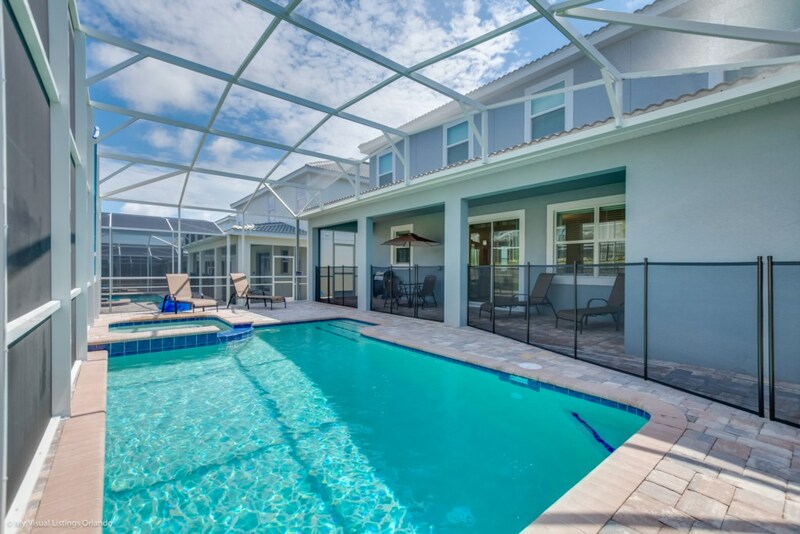 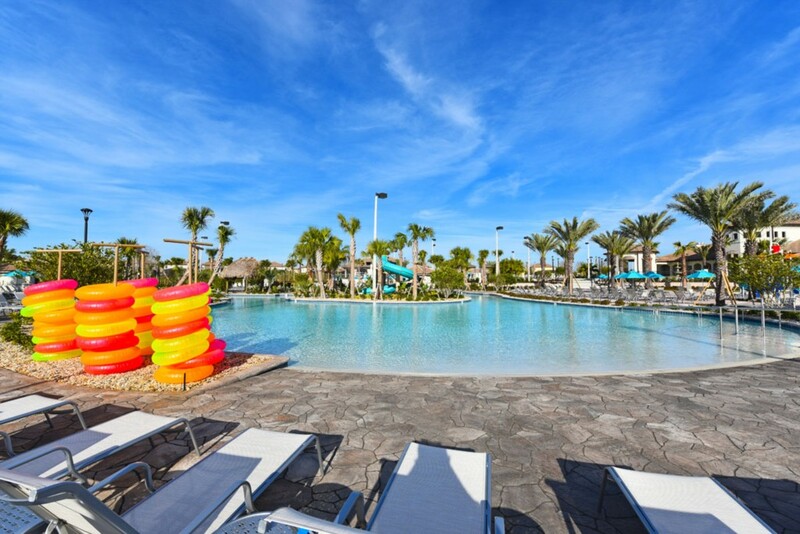 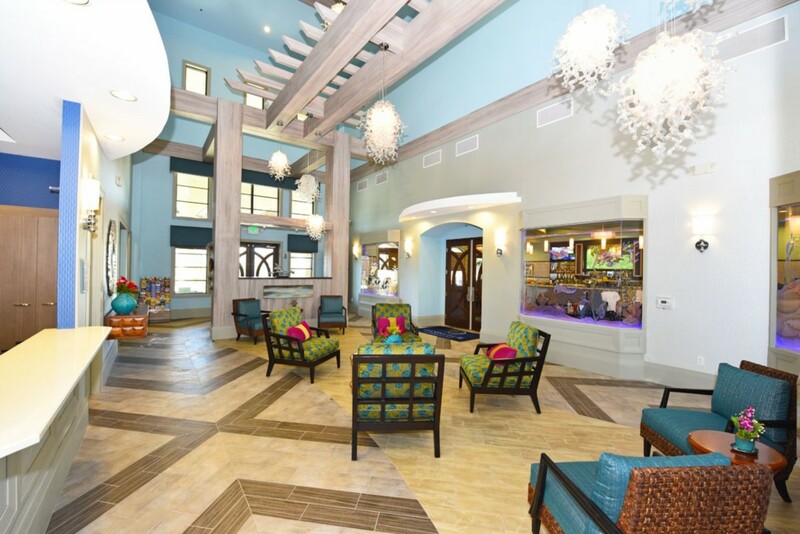 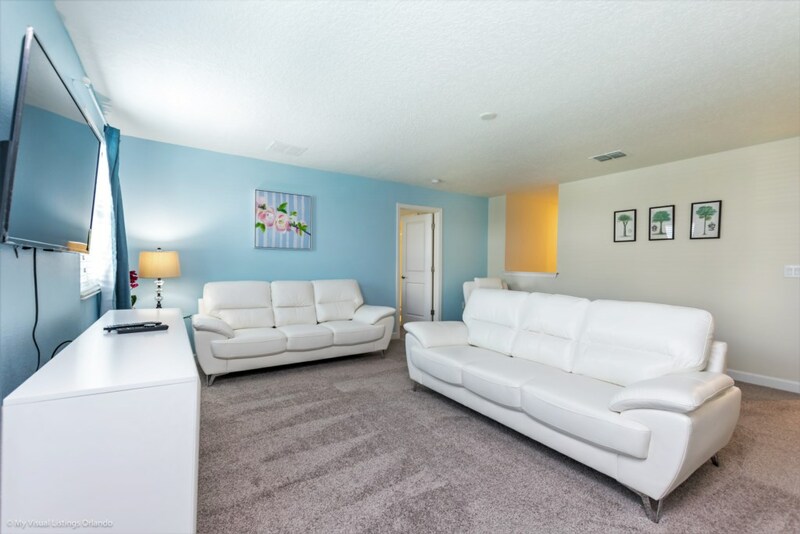 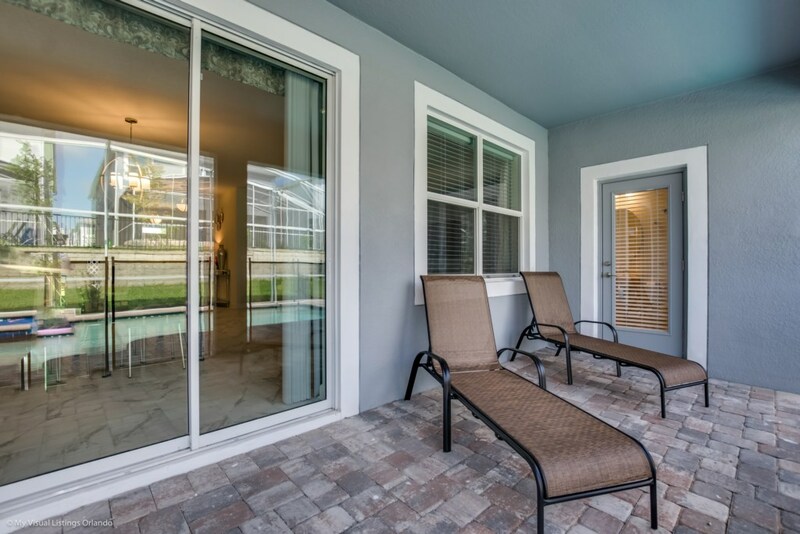 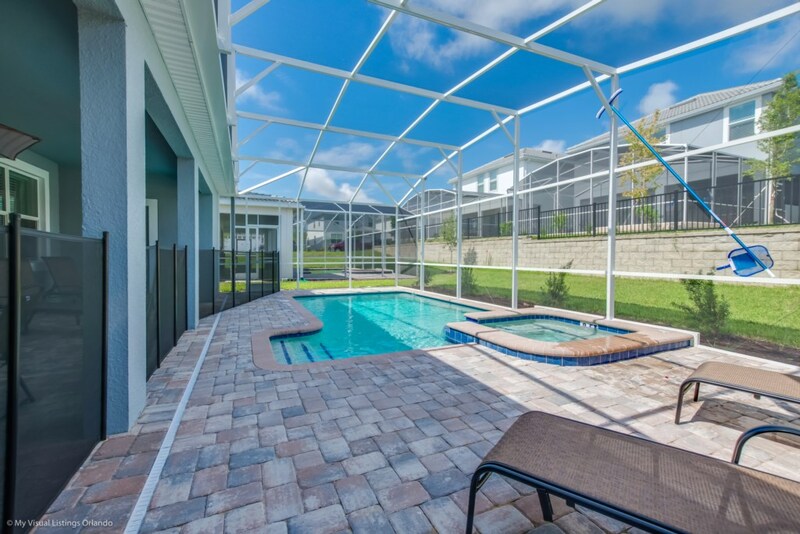 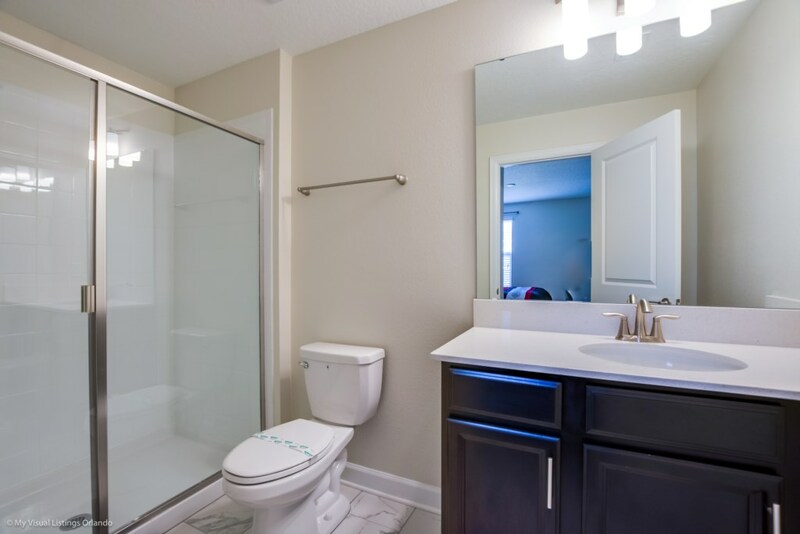 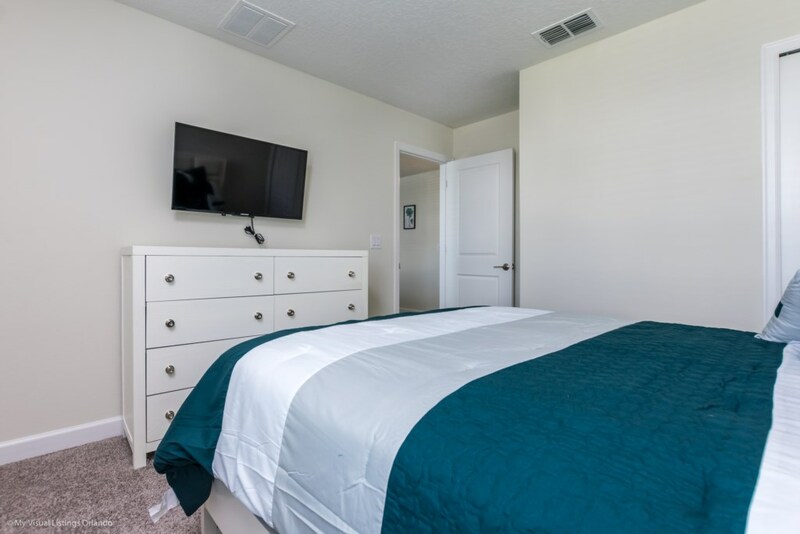 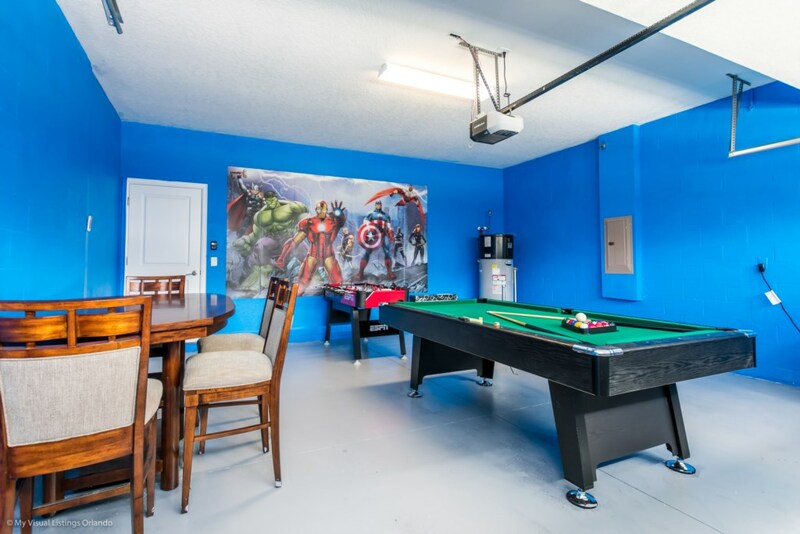 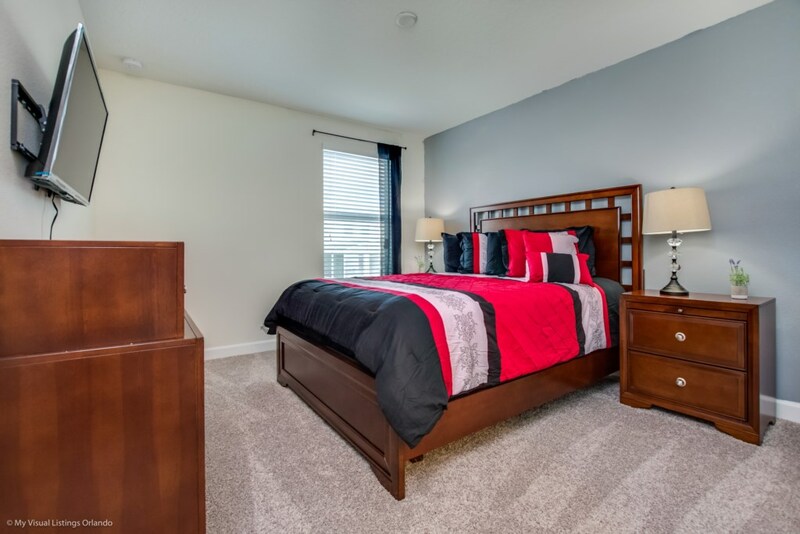 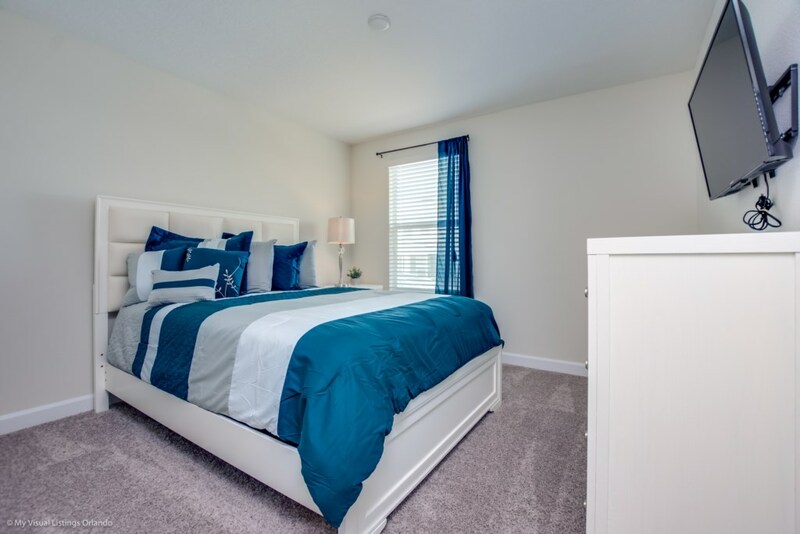 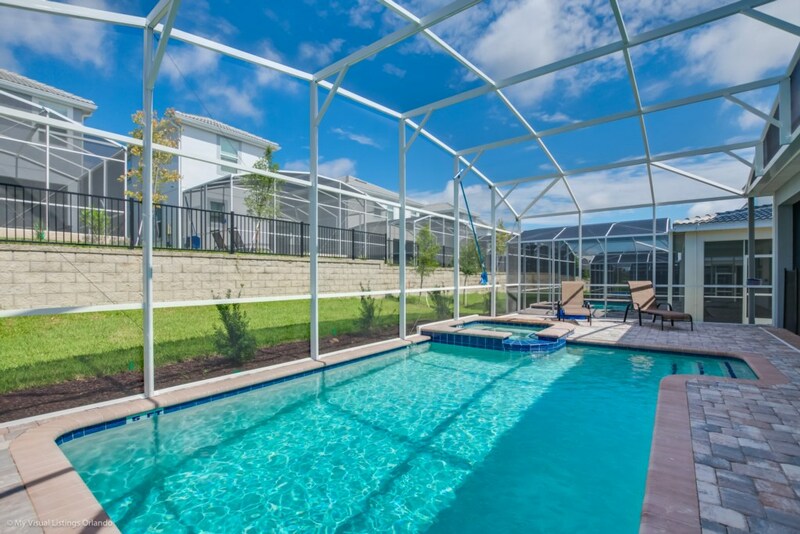 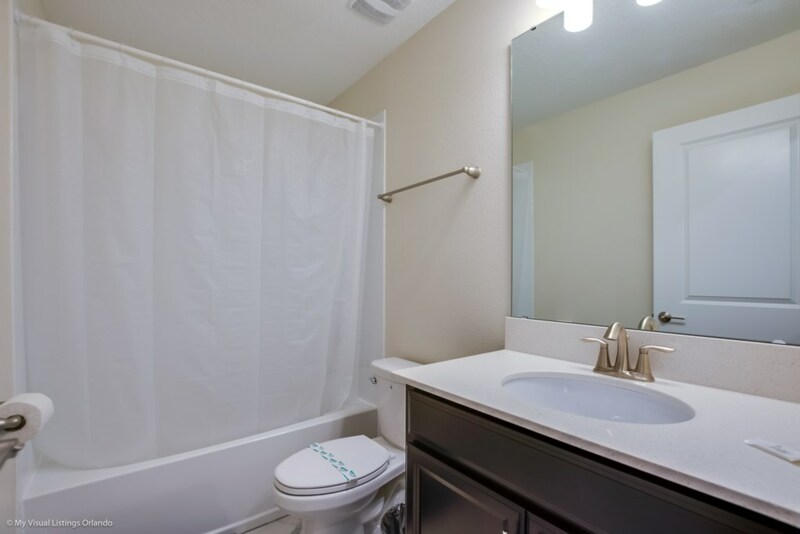 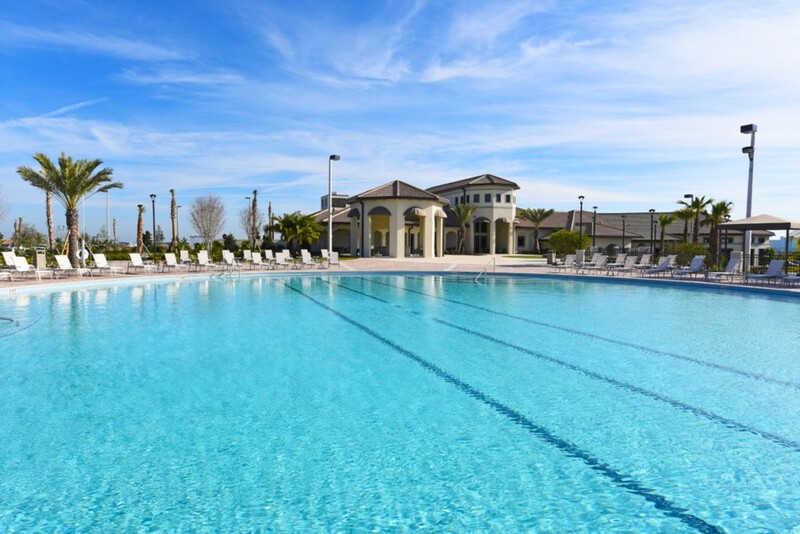 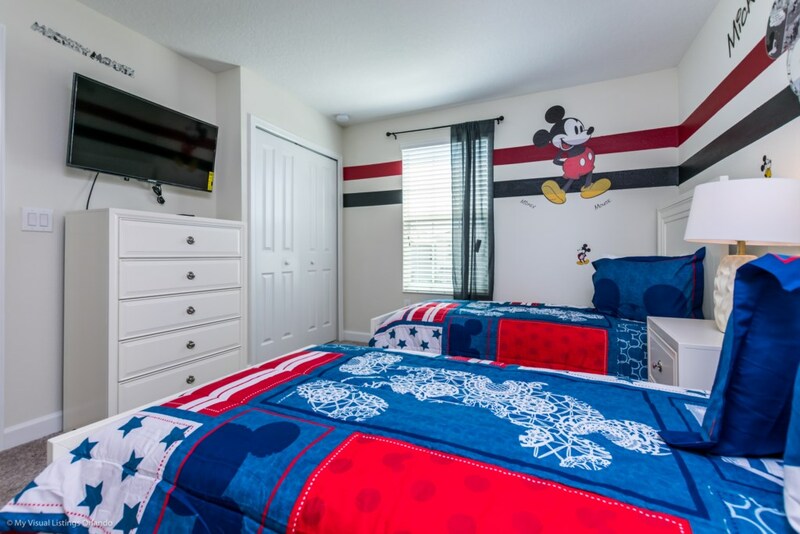 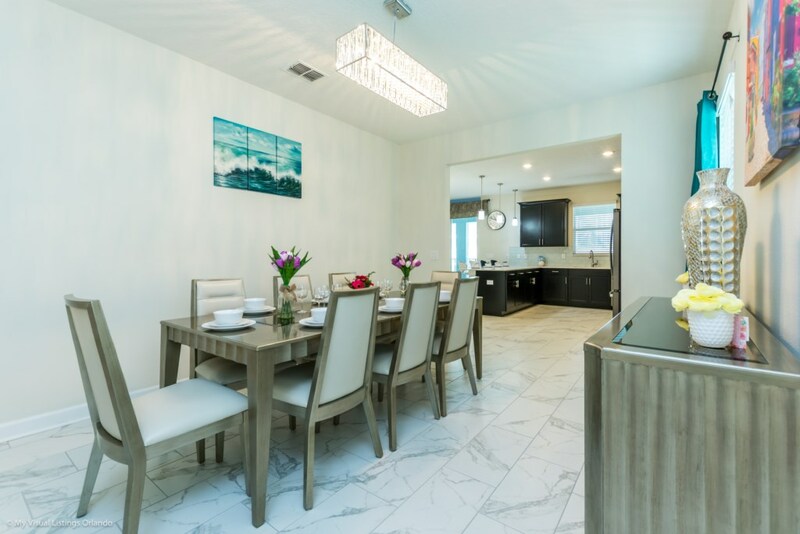 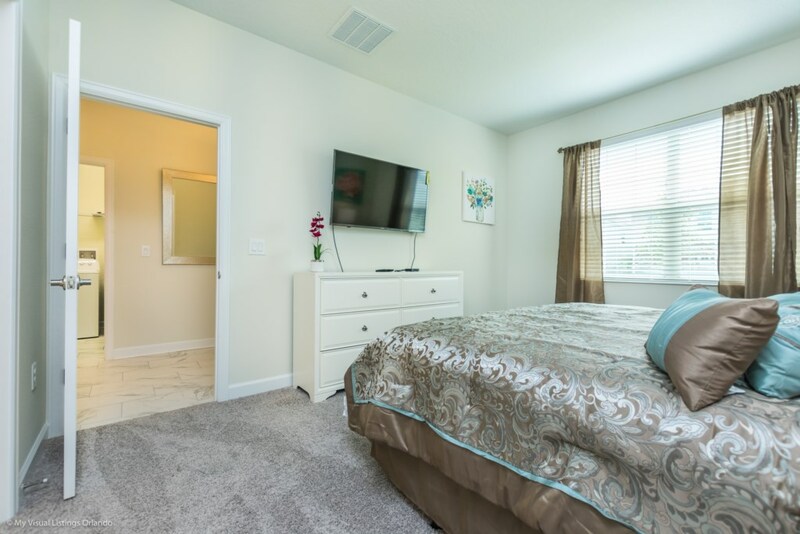 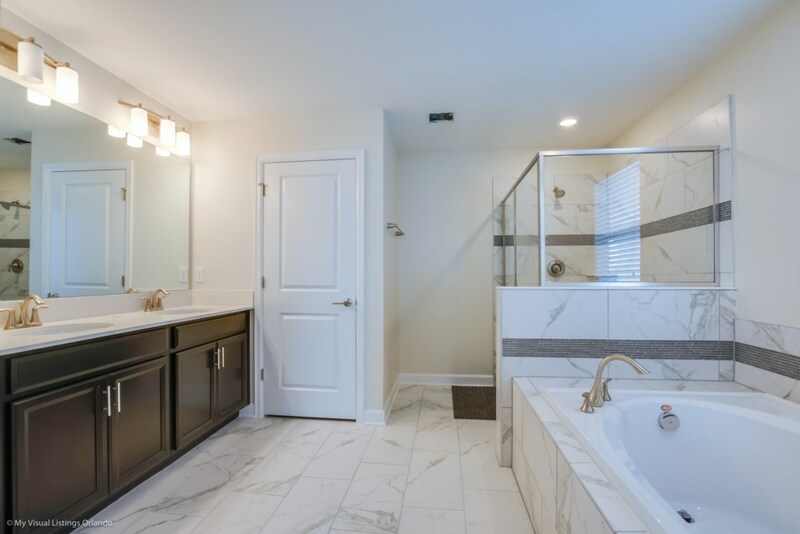 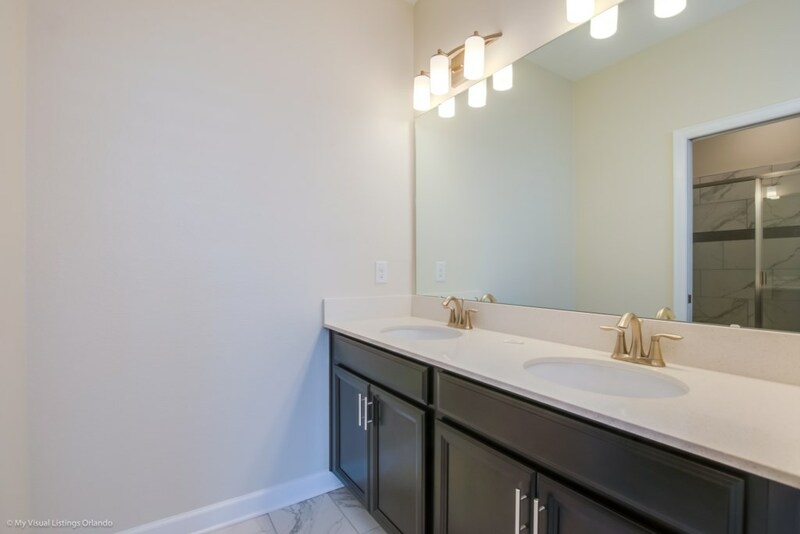 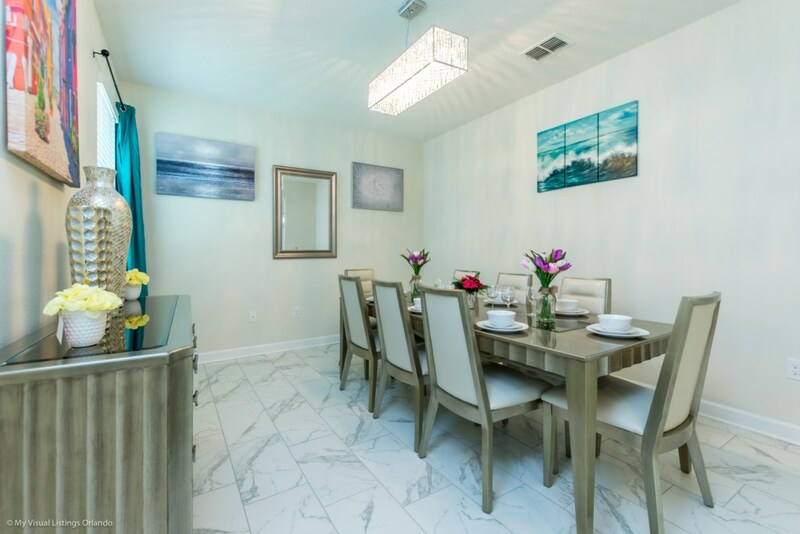 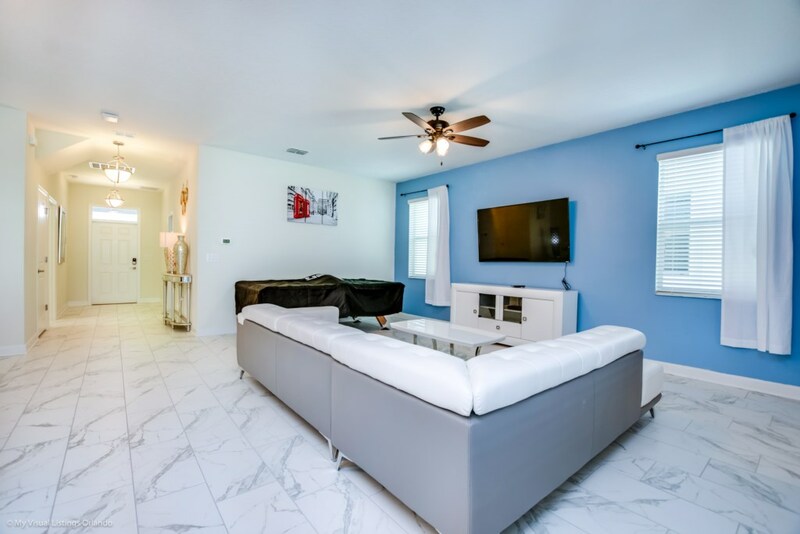 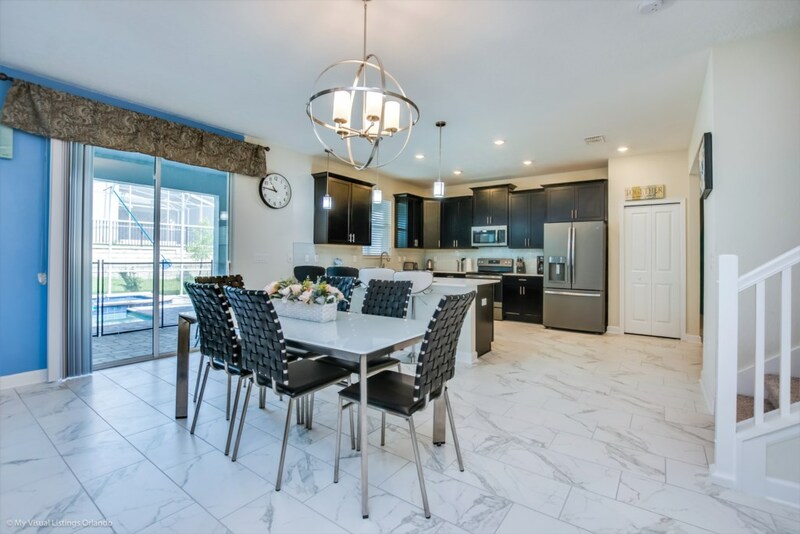 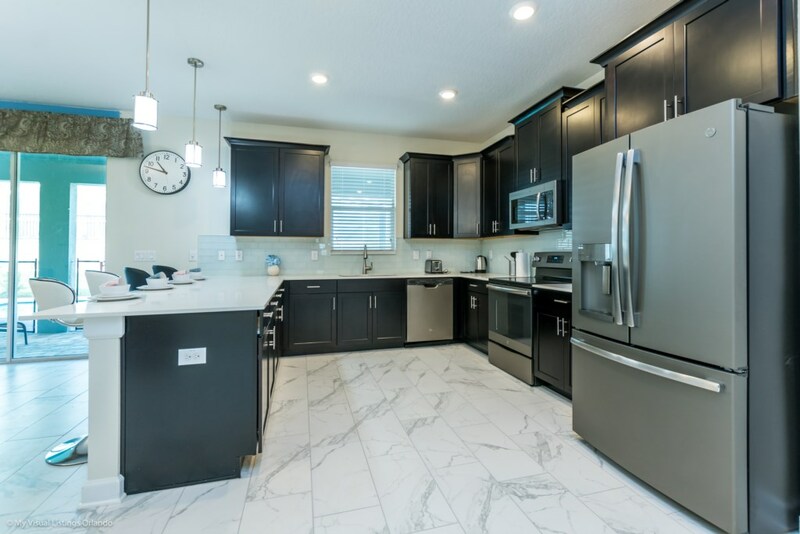 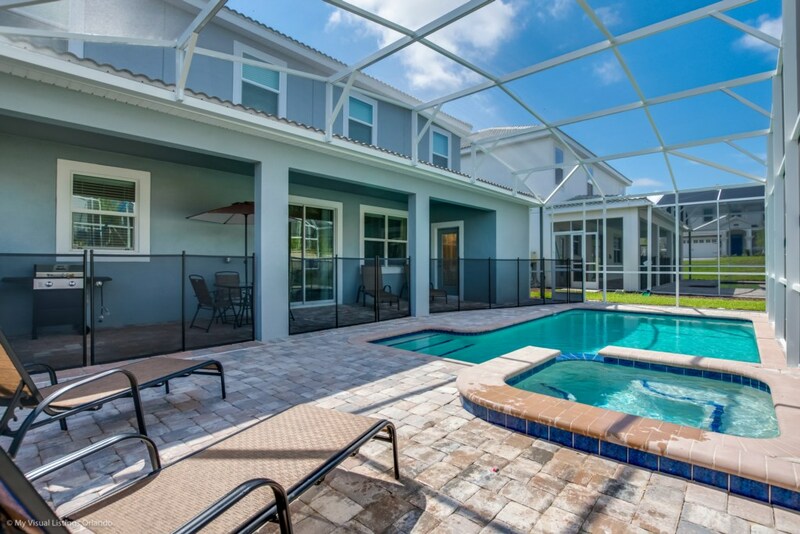 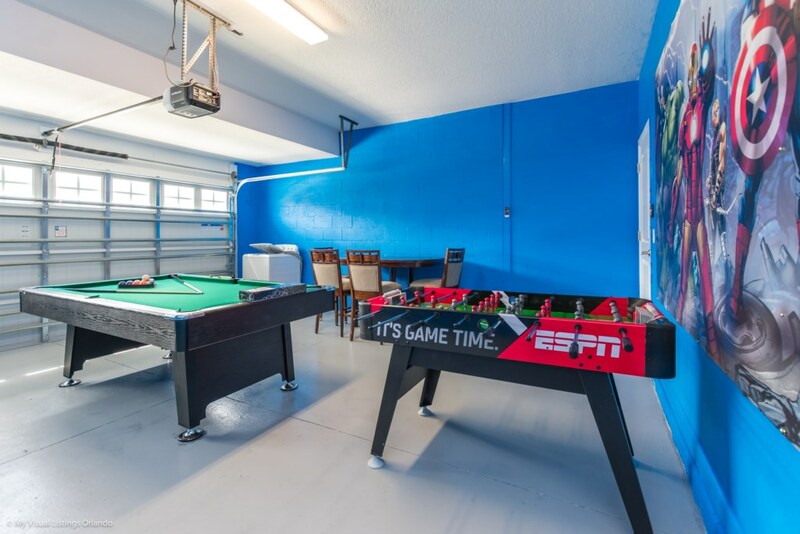 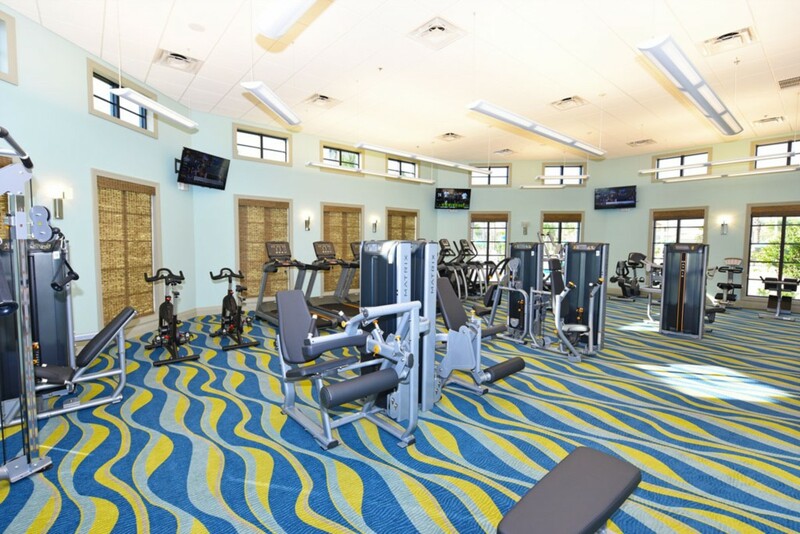 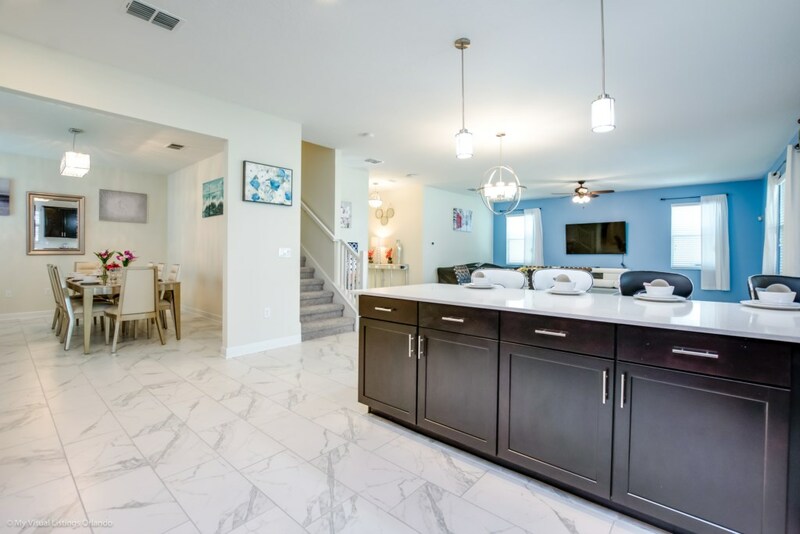 This home is situated in the prestigious new Champions Gate development, close to Disney and Reunion and just off Highway 27 and Highway 192 and only a few minutes from Interstate 4 to get to Universal, this is the ideal base for a great Orlando vacation. 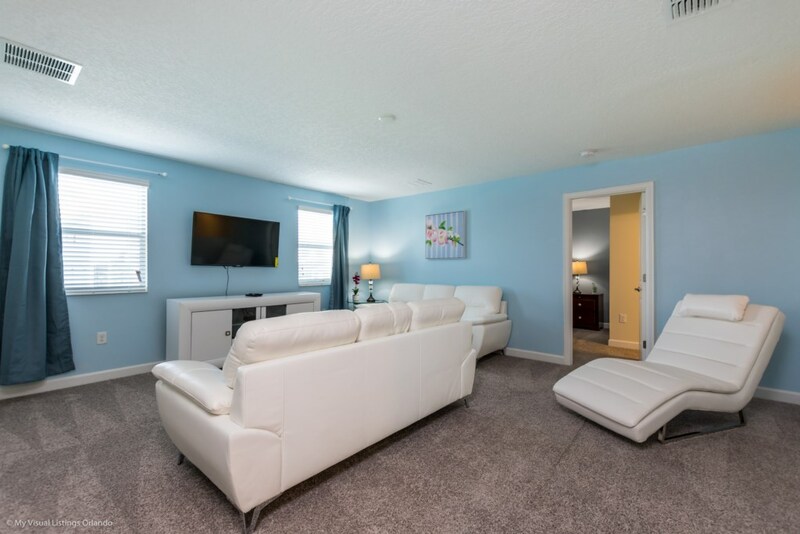 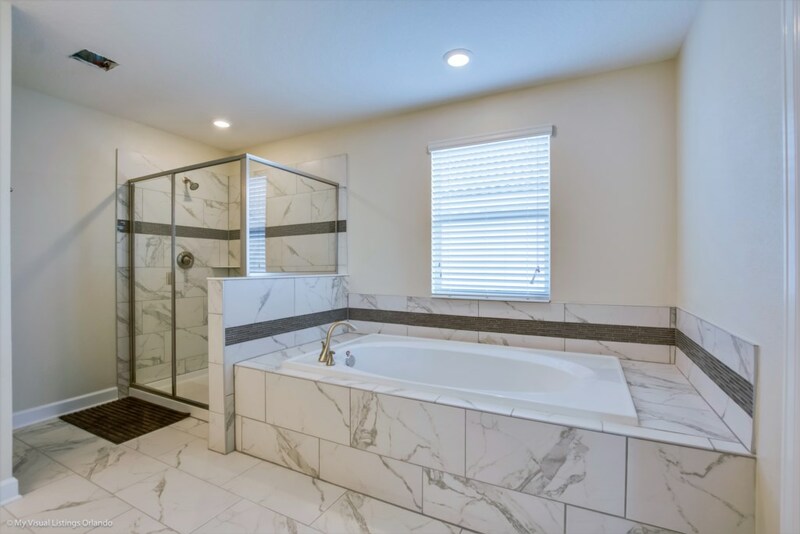 Make the most out of your vacation, the home also has large sitting area upstairs with large LCD TV for those days where you just want to stay in and enjoy this fabulous home. 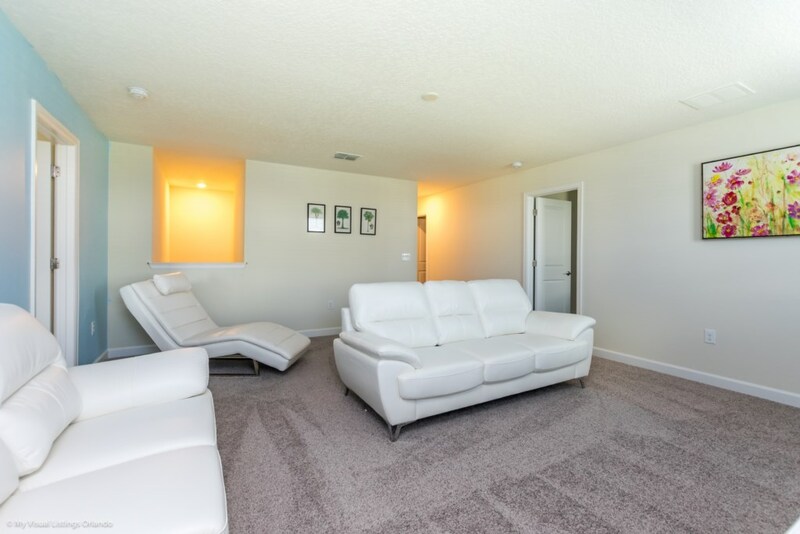 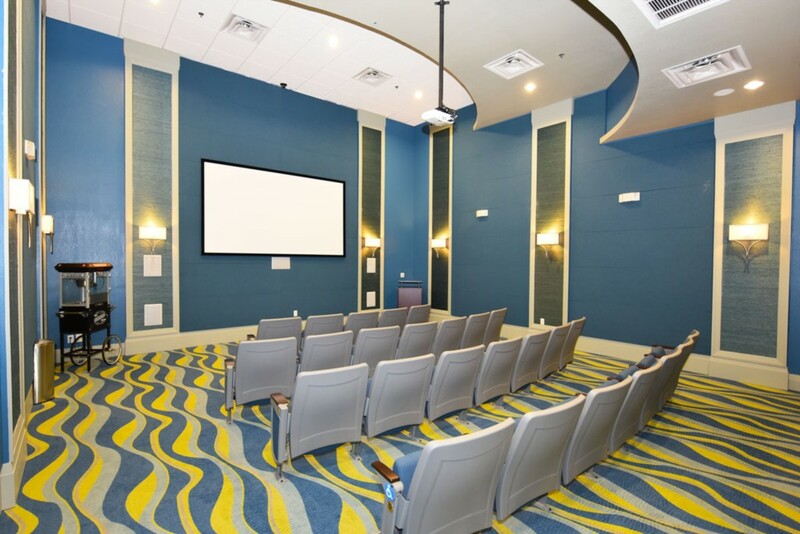 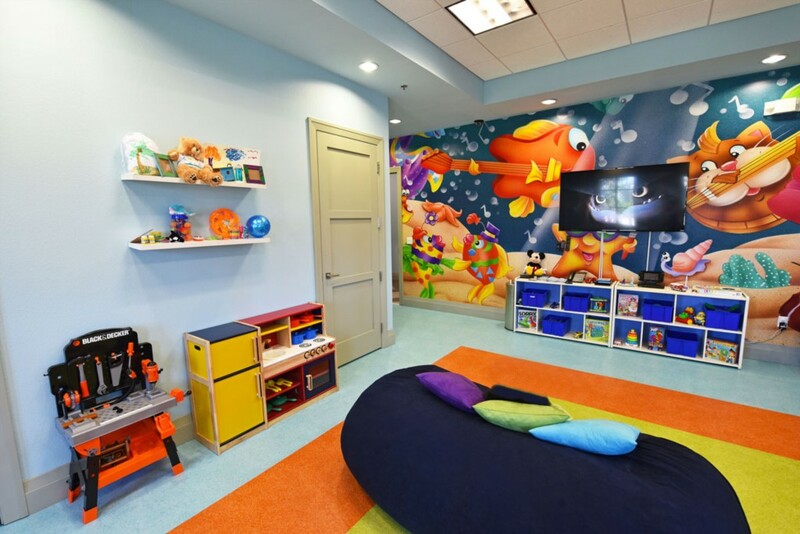 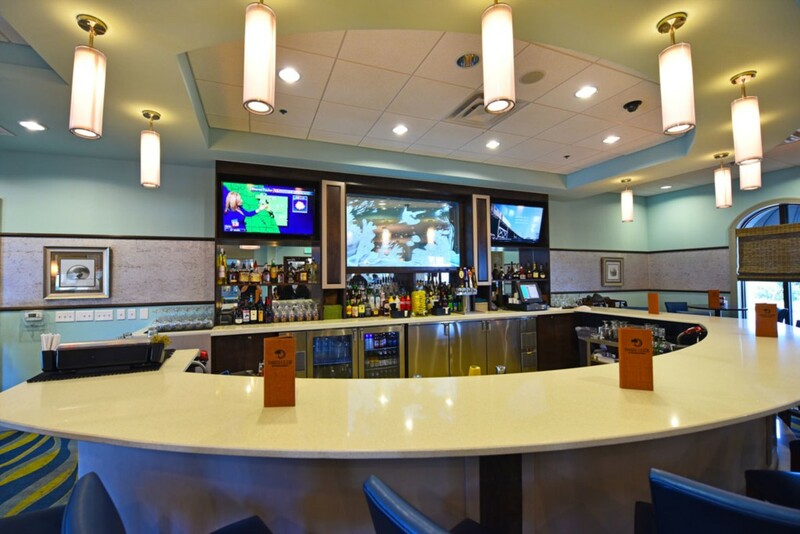 Catch up on your favorite movies whilst lounging on the large sectional sofa.